A couple of POY races came down to the wire in 2018 but now we know the official winners for both the CardPlayer Player of the Year race and the GPI POY 2018 race. Jake Schindler held on to win the CardPlayer POY race while Alex Foxen streaked his way to the GPI POY 2018. 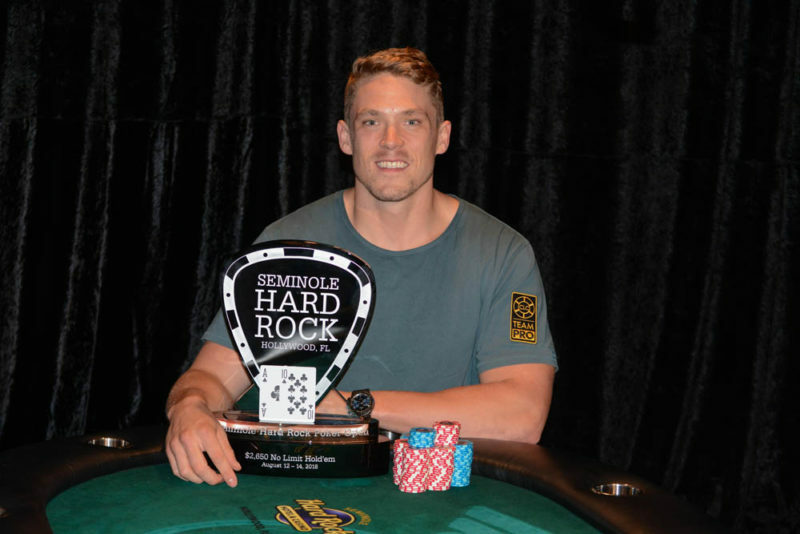 Also, we have our first-ever High Roller of the Year champion as Sam Soverel beats out Isaac Haxton and David Peters for the honor. Jake Schindler came out on top in the hotly contested CardPlayer Player of the Year race. He finished the year with 9,407 points, topping Stephen Chidwick by 562 points. Schindler managed to put together $8.73 million in live earnings during the year and sealed his victory with a win in the $100k Super High Roller of the 2018 Five Diamond World Poker Classic. CardPlayer pointed out that Schindler shattered the record for most final table appearances in a calendar year with 31. Bryn Kenney previously held the record with 23 in 2017. That means that Schindler found himself at the final table more than twice a month. Of course, keep in mind that a lot of these finals were in high roller tournaments, which are shorter fields. You still cannot deny the accomplishment as high roller fields are insanely tough. Not surprisingly, the top five on the POY list features most of the top players from 2018. Some of you may wonder why Justin Bonomo did not fare better than fifth. That’s because the CardPlayer formula doesn’t allow the same point allocations for many of the smaller field high rollers that Bonomo took down. That’s how someone with one-third of the earnings of Bonomo managed to win POY. You cannot deny that the hottest player in poker right now is Alex Foxen and his recent run at Super High Roller Bowl V was just the latest in an impressive second-half run. Foxen earned a career-best $6.6 million in 2018 and streaked at the right time to climb to the top of both the GPI 300 and the GPI POY 2018. Foxen finished the year with 4070.18 points, more than 283 points better than Stephen Chidwick. David Peters, Justin Bonomo, and Jake Schindler rounded out the top five. Foxen has run well all year but has run red hot in the second half with seven six-figure scores and his career-best score of $2.16 million at Super High Roller Bowl V. He won five tournaments during 2018 and worked his way up from tournament grinder to high roller contender. 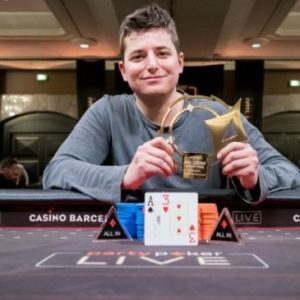 Finally, Sam Soverel managed to hold on to win the High Roller of the Year award, given out by Poker Central to the top high roller, or we should really say ARIA High Roller. Points towards the events are awarded based on events played exclusively at the ARIA, including the ARIA High Roller Series, Poker Masters, and the Super High Roller Bowl. Sam Soverel absolutely crushed ARIA events in 2018, cashing 20 times and winning nine events. This allowed him to rack up 1,765 points, and that total proved too much for anyone to overcome. Isaac Haxton’s win at Super High Roller Bowl V allowed him to jump up to second place, but his 1,530 points were well short. David Peters, Jake Schindler, and Poker Central founder Cary Katz rounded out the top five. Originally, the High Roller of the Year was to run until May 2019 but with the move of the Super High Roller Bowl to December, Poker Central decided to award the first title after Super High Roller Bowl V and to begin a new leaderboard to kick off 2019.